A new report from the National Renewable Energy Laboratory reveals the U.S states that have the most potential for renewable energy production. According to the report, Wyoming and New Mexico are both set to become major exporters of wind power. It also projects that by 2025, New Mexico will be producing twice as much clean energy as it needs, which could allow the state to sell it to other states. You can probably already guess this, but California, Nevada, and Arizona are on track to taking over solar power. California plans to have one-third of its power coming from renewables by 2020, and Arizona already exports 77% of the solar energy it creates. 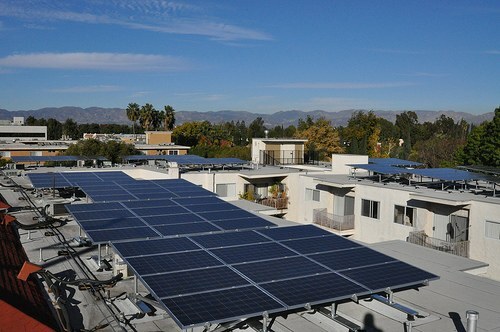 It also has two large-scale solar projects underway. In Nevada, geothermal and solar production have the potential to provide four times as much electricity as the state needs, a number that may become a reality now that two more projects are underway in the state. Since many clean energy companies and utilities try to get as much done as possible while under a state mandate, many of these states could pass these goals and projections a lot sooner than expected. Which state do you think will reached 100% renewables first?